Atlanta Jobs with Justice is launching a brand new campaign to organize seniors to revolutionize the home care industry in Georgia and across the nation. Atlanta Jobs with Justice is Caring Across Generations! What is Caring Across Generations? Caring Across Generations is a campaign organized by Atlanta Jobs with Justice as a part of a national movement to transform the way we care in this country. We are harnessing the power of social action, storytelling, and grassroots organizing to spark connections across generations, strengthen family and caregiving relationships, and call for policy solutions for all to live and age with independence and dignity. The demographics of our country are changing. And so is our culture. Every eight seconds, another baby boomer turns 65. Our population is about to be older than it has ever been. Far from a crisis though, our “Elder Boom” is a blessing. We’re living longer and have the opportunity to spend more time together. The question is how we live as we age. Right now, our country has no comprehensive plan to care for our aging parents and grandparents, despite the fact that seven out of ten of us will need some form of long-term care at some point, due to disability or the simple process of getting older. And while the vast majority of us – 90% in fact – would prefer to age at home instead of a nursing home, our only care option is still too often a dehumanizing institution. Care is not and doesn’t have to be confined to institutions. 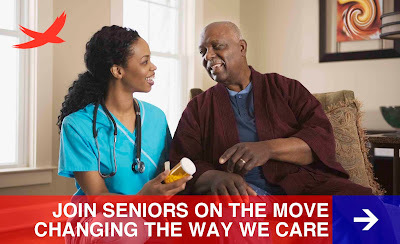 We have an unprecedented opportunity to bring care back home – where we feel most safe and secure and surrounded by love – and to create much needed quality home care jobs in the process. We can build the care infrastructure we need to address the realities and values of 21st-century families. Everyone should have access to quality, dignified, affordable care choices. Families shouldn’t have to bear the burden of caregiving alone. Caregiving can create jobs and contribute to local communities.Caregiving jobs should be good jobs, with adequate wages and benefits. Home care workers should be able to build their skills to provide higher quality care, and should have a clearly defined career ladder to climb. Quality care and a strong home care workforce requires an improved immigration system. Caring Across Generations is building a “caring majority” by executing on four program areas: culture change work; local, state and federal policy advocacy; online campaigning; and field activities and civic engagement. We are a part of a national coalition of more than 200 labor, consumer, advocacy, and policy organizations. We are advocating for a comprehensive approach to long-term care that expands and supports a strong home care workforce and makes care both affordable and accessible. Working with the entertainment, advertising, and media industries, we are using storytelling to shift how Americans feel and instead create a culture that embraces aging, multigenerational relationships, and the value of care. We are working to protect what we have already earned. Programs like Medicare, Medicaid, and Social Security are essential for a decent quality of life for seniors, people with disabilities, and their caregivers. How Can I Learn More and Join the Movement?